This deal cannot be used in conjunction with any other offer. Only available between 1 February 2018 and 31 January 2019. Standard birthday party package includes party room and admission for 10 people. There will be an additional charge if you have over 10 guests. Bookings essential. Subject to availability. Prices subject to change. 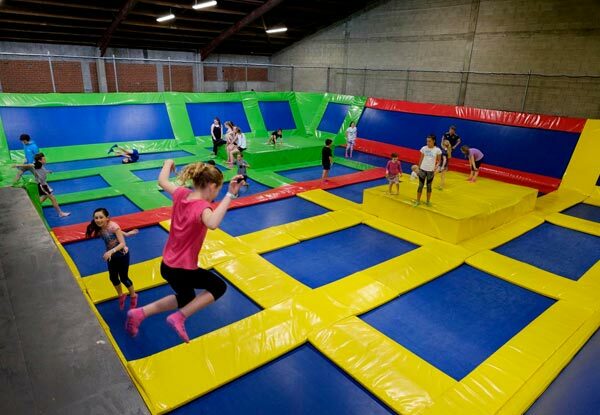 Get leaping at Dunedin's only indoor trampoline facility and enjoy the great health benefits that trampolining has to offer! Let us give your birthday boy or girl an amazing experience and no mess for you to clean up! You are able to enjoy any of our activities as part of your party package. We have a private party room available for hire otherwise you are welcome to bring your own food, cake and non-alcoholic drinks and enjoy your refreshments at one of our BBQ tables after your activities. Our BBQ tables are free to use – we just can’t reserve these for you. Party Room hire is for 45 minutes. Our party room is normally booked for a time after everyone has completed their activities. To redeem this deal simply show this screen before paying for the birthday party package at the counter.